After dropping your phone into the ocean, it's safe to assume you've lost all hope of recovering your precious gadget. But after nearly two months, one lucky kayaker who dropped his phone into the water off the coast Santa Cruz had his phone returned, in working order. Imgur user ehtnaerokyug, first name Sam, posted his phone recovery story to the website on Wednesday. 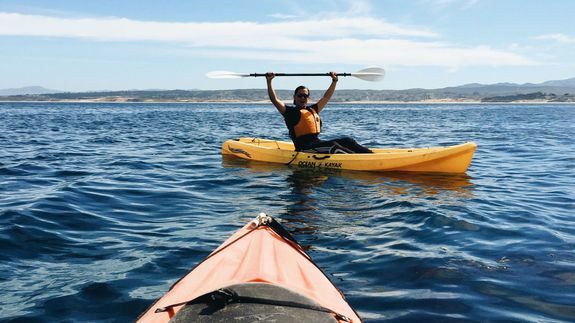 According to his post, Sam and his friend were Kayaking in Monterey Bay on March 13, and he was wearing a new waterproof case around his neck, snapping photos of their journey.